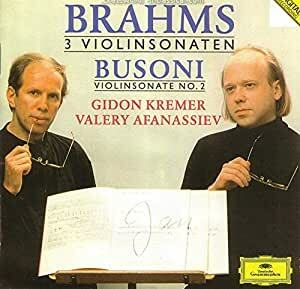 This interpretations of Brahms Sonatas are simply unique. The first reasons:the Tempi and the phrasing. These are wide , ample and full of breath interpretations completely rounded in sound and comunication between the piano and the violin. Simply out of order in the reading of Brahms masterpieces.